As mentioned before I write for a few other sites. Review of the Gin Festival at Tobacco Docks for Live Review. Review of The Bodyguard for Last Minute Theatre Tickets. Review of Singin’ In The Rain by Mayhem Musical Theatre Company for Sardines. Review of Tick Tick….Boom by SEDOS for Sardines. Review of Rent by New Horizons Theatre Company for Sardines. Review of Sinatra for Last Minute Theatre Tickets. Review of The Drowsy Chaperone by Dartford Amateur Operatic & Dramatic Society for Sardines. Review of ‘I Love You, You’re Perfect, Now Change’ for Londontheatre1. 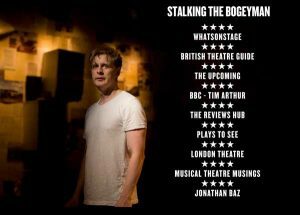 Following my review on Stalking the Bogeyman I made a cheeky appearance on the publicity material for this show! Following my review of Parade, I was in esteemed company on their publicity material. 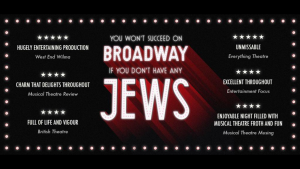 Check out Musical Theatre Musings cheeky little mention on Love Birds Musical Website press review page here. 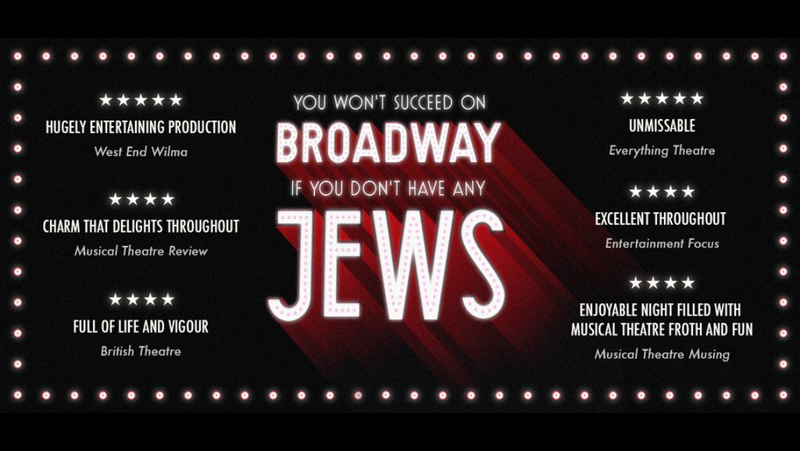 My review of ‘You Won’t Succeed On Broadway If You Don’t Have Any Jews’ gained Musical Theatre Musings a quote and a mention on their poster. 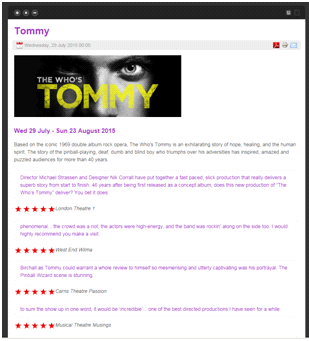 Musical Theatre Musings has made an appearance on the Greenwich Theatre website after by 5 star review of Tommy. Also check Musical Theatre Musings out on Folio Theatre’s website for the review on Reel Life and Unearthed & Illuminate Festivals website where Musical Theatre Musings is quoted from our preview article on their festival. Myself and fellow blogger Rochelle also ran the Churchill Theatres 1st ever Tweet seat which the Newsshopper ran an article on. Check out the article (9/9/15) here. You can also find an interview with me and lovely fellow blogger Emma Kay on the Stagedoor app website. The interview is here.